What do you think about younger teams playing against older teams? Last year, my daughter's AAU team finished #1 in Ohio and ended the season #9 in nation at the conclusion of the 2011 AAU National Championship in Orlando, Florida. One of the reasons for the success achieved in state and national tournaments can be attributed to playing against older, faster and bigger competition leading up to the top tournaments. The coach is following the same path this year. She entered the 5th grade team in a 6th grade winter league and in 6th grade tournaments. Playing older, faster and bigger competition has advantages and disadvantages. The following advantages assumes that the younger team can actually compete with the older teams. The team learns how to play against strong teams. The team learns how to break the press against stronger, faster and often tougher guards. The team learns how to get rebounds despite being outsized. The team learns how to win close games instead of blowing out every team. The team learns how to lose - going 40 and 0 before a tough national tournament can add to the stress. The team learns how to shoot over taller competition. The team learns how to create space and move without the ball. The team learns how to help on defense because older, faster kids will often breakdown a younger defender. The team learns how to work hard for points because nothing comes easy. The team could lose confidence. The faster paced game could create bad habits - picking up the dribble to early, forcing bad passes, avoiding drives to the rim, etc. Some players could get hurt against bigger players. Our team is very big for a 5th grade team so this is not a problem as a team, but some players on the team are undersized. My daughter is one of those smaller players. I worry about the injury risk because my daughter is so small compared to most of the older competitors, but I am not worried about her confidence waning. She does get disappointed when she doesn't play well against a bigger and faster opponent but she doesn't get discouraged. Conversely, her confidence soars when she plays great against players who should be better than her based on their bigger size and extra year of experience. Regarding bad habits, in the beginning of last year my daughter was overwhelmed by the faster and stronger players and she often pick up her dribble too quickly and made hasty passes. Still, she never seemed discouraged or intimidated. And the coach did not give up on her. She progressed greatly over the year and this year she moves the ball with so much more confidence and purpose. Overall, I think that teams should play up against older teams if they are exceedingly better than the same age competition in their area. A good team that wants to do well in state and national tournaments needs to find the right competition level to challenge them and make them better. For me enjoyment of the game and confidence is the key to success, so a team should never move up to an older league if it will erode the confidence of the players or take the fun out of the game for the players. This past weekend, CC's 5th grade team came in second in a 6th grade Cincinnati Christmas Classic Tournament. They lost a low scoring physical game in the finals 15-18 against the 6th grade team from the same select basketball club. CC was the smallest player on the court, but she scored 6 points and was called upon to attempt the game tying 3 point shot with 3.5 seconds left. She got the shot off, but it did not go in. She was proud in defeat. I've been facilitating pick up soccer for my kids (and any elementary school kids I can find via my e-mail contact list, Twitter and Facebook) in my area over the last month and through the winter months. Last weekend I attracted my best group to date - 14 kids! They ended up playing a single mixed age game, with kids from U6 to U12 with a few Academy players mixed in. To tie in to your topic - what has it done for the younger player (and specifically my U6 son)? He moved from being a good U6 player to being a player who is learning to play among a larger group. His confidence on the ball has increased as he has beat U8 players. He has moved from blaming external factors (Why Me?) to just playing the game. Our club's U8 Academy teams plays within the club, playing up an age group into U10. Having watched some of the teams play - they are outmatched on speed, size, and power but over the course of the season they start to find a way to win matches after initially being outclassed. Confidence is relative. A team that only plays against weaker teams might win, but would be easily hurt in confidence once they meet one stronger team. Thanks for the comment beanathlete - In the post called Playing up (http://www.statsdad.com/2010/03/playing-up.html) I talked about my little girl who played in a 3rd and 4th grade league when she was in kindergarten - she did very well and it helped her improved at a faster rate. Now she plays at her age level, but on one of the best teams in Ohio which plays in a highly advanced regional league. If a kid is confident, is skilled enough to compete and can gain from the experience - I think that it is helpful. If they play up because of the inflated ego of the parent and the kid flounders, loses confidence and starts to hate the game - then it can be hurtful. "her confidence soars when she plays great against players who should be better than her based on their bigger size and extra year of experience." Knowing that you can compete with the "big kids" is a huge boost. It also shows the older players that they have to respect their opponents, no matter their size or age. 1. Balance - as you put it, there are pros and cons. If the pros outweigh the cons FOR THAT SPECIFIC CHILD then it may be okay to play up. 2. Motive - what is the reason behind the desire/need or the parent to play the child up. Too many times I see the parent moving the child up, pushing the child, talking the child into something she might not otherwise want or be ready for in order to fulfill the parent's wishes. If the child truly wants to pursue and can articulate personal motivation (not mimicking parent's words) then it might be okay to play up. 3. Goal - what is the goal for this child's participation in sports? Sports can teach us all (children and adults) many lessons but participation does not automatically mean we will learn them all. If the combination of factors (e.g. activity, level, coaching style, etc.) support the goal then it might be okay. If it is merely with the expectation of developing a layer worthy of a full ride to a DI school, I encourage parents to review the NFHS statistics on this. Well said - we know just how slim the chances are to get a college scholarship or go pro - I have written about it several times. My daughter and my son feel a sense of pride when they advance and push themselves - as parents my wife and I support them and encourage them and also help them understand the pros and cons of every situation before them make their own decisions. For instance - last year my daugther wanted to quick soccer to concentrate on basketball. I did not think that specialization at age 10 was smart so I walked her through the pros and cons. During the discussion I found out that she did not want to quick soccer really - what she really wanted was to play goalie full time. Well I do not really agree with specialization in a position at a young age either - so we talked about the pros and cons of that. After the discussion, she decided that she wanted to be a goalie and asked me if I would talk to the coach. I did and she became the team's dedicated goalie. I usually tend to think it's a good idea to play an older team, unless your team is not competitive at the existing age level. You have made some very good points with your pros and cons. Interesting discussion - No hard and fast rules. Know some kids/teams who can play up without any adverse consequences & know of others who can get crushed by the experience. Only thing I have to offer you and your readers are links to a book and an article. Thanks for adding helpful links. You are a valued reader. I really appreciate your contributions. Last night, my daughter's 5th grade team beat a 6th grade team that finished in the top 10 in the AAU Nationals last year. Talk about confidence building. You're welcome. Sounds like your daughter's team can handle the challenge. In most team situations, I'm for kids playing within their age group. In informal situations, which don't happen that much anymore, I'm all for kids playing against older kids. It's the classic way of accelerating development. One reason why you see younger siblings, if they're athletic equals of older sibling, becoming better than their older brothers or sisters. With boys, I think it's hard to justify a team playing up if the majority of the older boys have hit puberty & the younger boys haven't. Too much of a physical advantage. In regards to girl's basketball, think it's easier to pull it off because of the lack of depth (quality) in the girl's & women's game. Watched a lot of girl's High School games over the past year & a younger girl with skills, athleticism and drive can excel when playing against their older peers. Once boys hit puberty, all bets are off. Skilled athletes can easily compete against their older peers. "For me enjoyment of the game and confidence is the key to success, so a team should never move up to an older league if it will erode the confidence of the players or take the fun out of the game for the players." Excellent. This is probably the key point—whether it's from a team or individual perspective. If a child believes he or she can compete at a higher level, than the competition is likely both fun and beneficial to skill development. Playing Up can also hamper a young athlete's skill development. Against older kids, a player may only be able to play certain team roles ("passer", "defender"). At a lower level, these players can explore other roles ("scorer"), and develop the necessary supporting skills. Besides organized sports, the Playing Up (and Playing Down) concept is also very relevant to a young player's participation in pickup games. Again, it's important to balance the benefits of Playing Up (skill development, learning supportive team roles) against the downside of lost confidence and NO FUN. For those interested, I recently posted a complementary article on my blog that discusses this issue from the pickup game perspective (Learning Sports: Playing Up, Playing Down). I always appreciate the perspective of another Youth Sports Blogger - thanks. I have a 13 year old 7th grade daughter "playing up" against varsity teams with 16-17 year olds. My daughter is small and my concern is safety. She recently got hit in the head and had ato concussion. If she gets another concussion her high school basketball career could be over before getting to high school. At this age the physical size, strength of varsity girls versus 7th is enormous. Even though though the skills of the younger ones are better in some cases, an elbow to the head or slam to the ground from a girl your own or similarI age/size has different impact than from someone 3-4 years older. 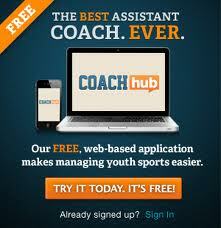 Coach is a high school coach who believes in preparing girls for high school play. In my opinion safety outweighs the benefit of playing up in cases like mine. I agree you need to consider the safety. If your daughter is that good, then she will be that good when she is HS too regardless of whether she plays up or not. I am sure that there is good competition in her age group to keep her sharp. My daughter's team only play up 1 year in certain tournaments and winter leagues to prepare for the Nationals. The overall size difference has not been too much, but some teams are huge. I have noticed a big jump in the size of the girls from 5th grade to 6th as some of the girls start to mature before others. It seems to level off after that - but there are always some girls who mature much later. My kids are late growers - my son was the smallest on his soccer team until 10th grade - now he is 6' 3". My middle son was fairly small too - he just started growing at age 14 and is projected to be tall too. I daughter is the second oldest on her team and she is the smallest. We are not sure if she will ever get to a size needed to compete in basketball long term. Youth sports used to be about children competing against other children; now it is regularly adults competing against different adults through their children.Children play sports on the grounds that it is fun; winning comes in path down the rundown.Children quit sports when they don't get the opportunity to play, and when winning turns out to be more critical than enjoyment. @Brian Smith. We could not always get what we want, that’s a given, but sometimes expectations do hurt. These 5 guys probably did not do your fantasy feelings any favor. Here are this mid-season’s fantasy basketball disappointments:2016 Mid-Season Fantasy Basketball Disappointments. Bye..